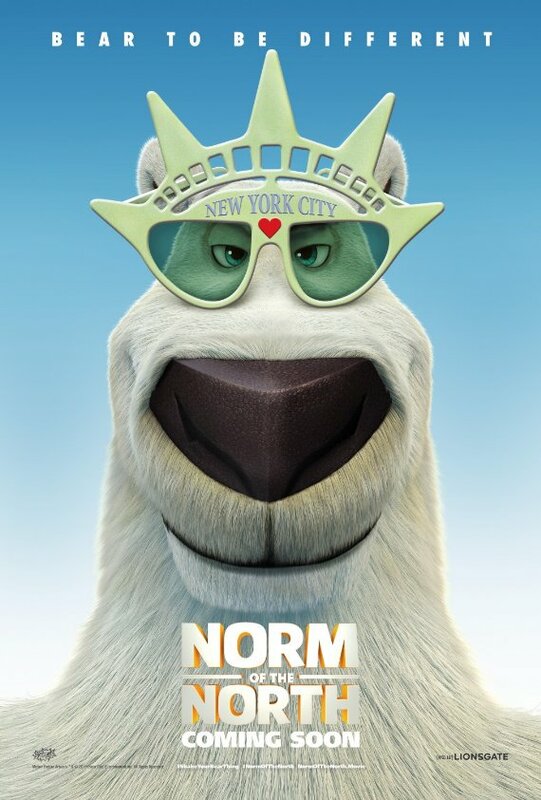 In this abnormally ambitious first feature film from Splash Entertainment, Norm of the North is about Norm (Rob Schneider), a Polar Bear who is able to communicate with humans. When his home, the Arctic is threatened by the evil developer Mr. Greene (Ken Jeong), he must journey to the concrete jungle and convince people to save his home. This feature film offers laughs and appealing characters for young audiences and I think it also represents something bigger that older audiences will also enjoy. Splash Entertainment is an independent animation studio that has been given the chance, by its association with Lionsgate, to create a film for the big screen. That’s not an easy task especially with so much competition from other animation companies. Is it revolutionary? No, but it’s a nice start for Splash Entertainment’s movie making journey. The film’s delightful animation is colorful and fluent. I love how the characters move and dance. I particularly enjoyed watching Mr. Greene’s rubber legs. 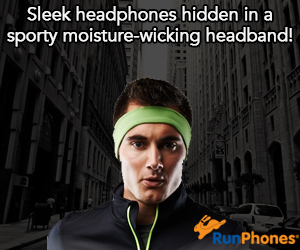 Much like his personality, his movements are snake like – always slithering from place to place. He is my favorite character because he’s so over the top. It also helps that he is voiced by the hilarious comedian Ken Jeong. Speaking of which, all the voice actors in this film portray their characters very well. 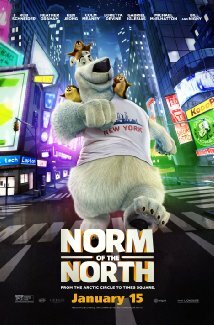 I’m not particularly a Rob Schneider fan but, in this film he makes Norm a lovable and plush Polar Bear. For me, the humor is hit and miss. But, I’m not really the audience for this film. A lot of the comedy is geared for younger kids and there is a lot of potty humor. Although there are some jokes for parents and older kids to chuckle at, it is best suited for the younger set. While the slapstick is fast paced, I have a problem with how the characters come in contact. What makes slapstick funny is cause and effect. Tom and Jerry are a perfect example. When Tom runs smack into a pole his whole body makes solid contact causing him pain. In this the film, the characters seem to be made of rubber. When they come in contact with each other it’s like silly putty being squished together. Now it does kind of work with Norm’s furry sidekicks, the Lemmings, because their running joke is that they feel no pain. However, it does not work when the other characters react like rubber. With that said, while watching the film the kids in the theater went nuts and loved every moment of it. Just goes to show you that humor is diverse. My favorite scene is the opening of the film when Norm tries to hunt. Not only does it reveal the status quo of the main character, it also provides a lovely introduction to the comedy that will follow. The Arctic landscape adds to the visual ambiance of the animation. The moral of this film is “nature belongs to the animals.” Mr. Greene plans to build condominiums in the Arctic and that’s why Norm goes to New York and tries to convince them not to do that. I was glad to see this environmental message presented to young children. I give this film 4 out of 5 stars and recommend it to 3 through 12-year-olds. This film proves that just because you’re not a big Polar Bear does not mean you can’t make a big splash. I can’t wait to see more from Splash Entertainment. This film is in theaters January 15 so mark your calendars now. Norm of the North is a perfect film for younger kids and delivers a positive environmental message. This film shows that some places are better left untouched in order to maintain their natural beauty. It also has a great cast. The voice actors really put a lot of emotions into their characters. The soundtrack is also great! 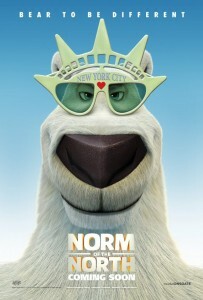 The story is about Norm (Rob Schneider) who is a polar bear that can speak to humans. He never really has used that power until one fine day Mr. Greene (Ken Jeong) starts to build condos in the Arctic, where Norm lives. Norm has to stop the construction somehow! He sneaks his way into a demo house that is scheduled to be delivered to New York, where Mr. Greene lives. Will Norm be able to stop Mr. Greene or will the beauty of the Arctic be lost when all those condos are built? Although it’s a good story, I found that at some points, the story just didn’t hold my interest. It felt predictable. You really knew what is going to happen next. Perhaps that’s because it’s better suited for a younger audience than me. I also found myself comparing the animation is this film to other mainstream films and it’s not quite there. But, again, perhaps I’m too old and picky. I think it is a perfect film for kids, who are 3 to maybe 8 or 9. My favorite characters are Olympia and Norm. I love how brave Olympia is and independent. In the film, she wants to get into a better school and her mom thinks she needs a recommendation in order to get in. Olympia does her best and earns her place in the school without the recommendation. Also, she wants to help Norm succeed in his plan. I Norm because he is funny, compassionate with others and determined to save his homeland. The lesson of this movie is we need to preserve our environment but we can still behave in a kind way. For example, Norm goes to New York to stop Mr. Greene from building condos in the Arctic. We seem him acting very compassionate to others and he serves as a great role model to others. I recommend this film for kids ages 3 to 10. 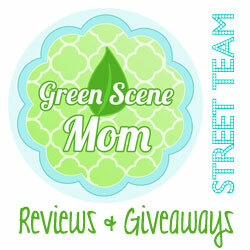 People who like family and adventure movies will particularly enjoy it. I rate this movie 3 out of 5 stars. Norm of the North came out on January 15th so check it out!